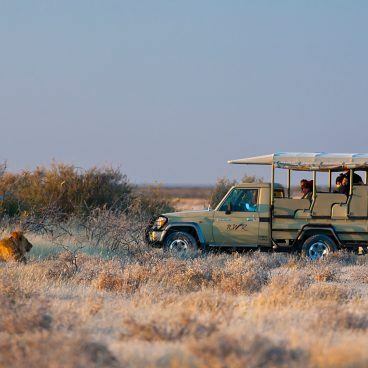 An adventurous 24-day self-drive 4×4 trip through the untouched Namibian Desert, combined with a safari past the animals and nature of Botswana. 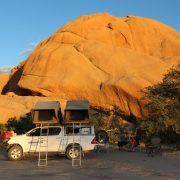 You will discover these two special countries in Southern Africa, Namibia, and Botswana, on this 4×4 safari. 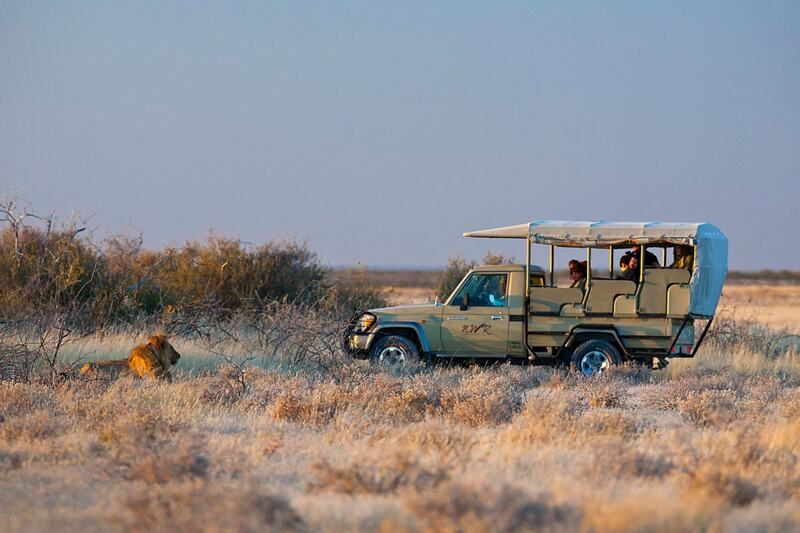 It is a perfect combination of wild, untouched nature in Namibia and adventurous wildlife reserves in Botswana. 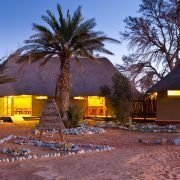 The itinerary includes places like the sand dunes of Sossusvlei, Spitzkoppe, the Etosha National Park, the Chobe National Park and the Moremi Game Reserve (in the Okavango Delta). 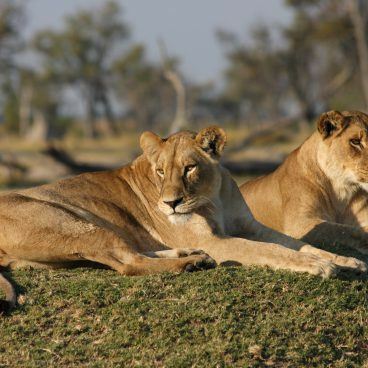 In the wildlife reserves of Botswana you will definitely see all the safari animals in a real African bush setting. 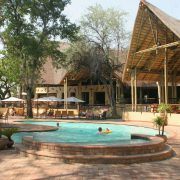 And for example camp in the middle of Botswana’s nature. Optional Zero Excess insurance including glass & tire coverage. This is the first day of your self-drive adventure through both Namibia and Botswana. Upon arrival at the airport, you will be collected by our partner, the car rental agency, and you will receive your car. After an extensive instruction round and the processing of formalities, your self-drive journey is on its way. The first night is planned in Windhoek so that you have plenty of time to get used to the car. Windhoek is also the place where you will have to do most of your shopping and build a storage for your trip. There are plenty of smaller shops along the way, but no major supermarkets. Accommodation: B&B. 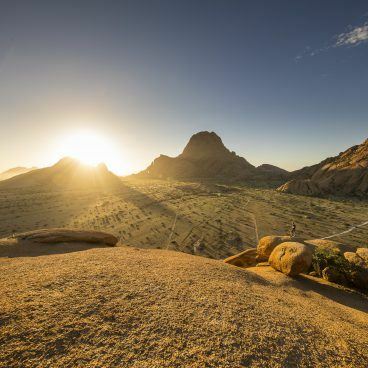 If you did your shopping on day 1, you can start early with the trip to Sesriem and the Namib Desert (Namib Naukluft Park). You will travel through Solitaire and you may reach Sesriem as early as the start of the afternoon. Accommodation: camping. Travel distance: 330 km. 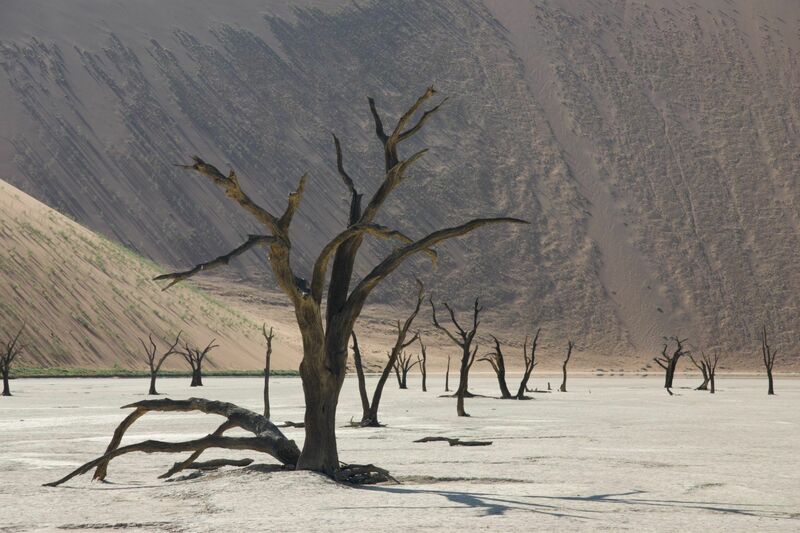 A whole day for the sand dunes of Sossusvlei and Deadvlei. We advise you to leave early so that you’ll get to the dunes in time for sunrise. It’s a breathtaking show of reds and oranges dancing around deep shadows. After two nights with the sand dunes and Sesriem your journey takes you to the next destination: Swakopmund, at the Altantic Ocean shore. The road crosses the Kuisib Canyon and the extensive gravel fields of the Namib Desert. 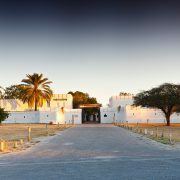 Early in the afternoon you will arrive in Swakopmund. Accommodation is a B&B so that you don’t have to pitch the tent. There are plenty of restaurants in Swakopmund as well. Accommodation: B&B. Travel distance: 350 km. After breakfast in the B&B you will have time to discover Swakopmund and/or do some shopping, if necessary. 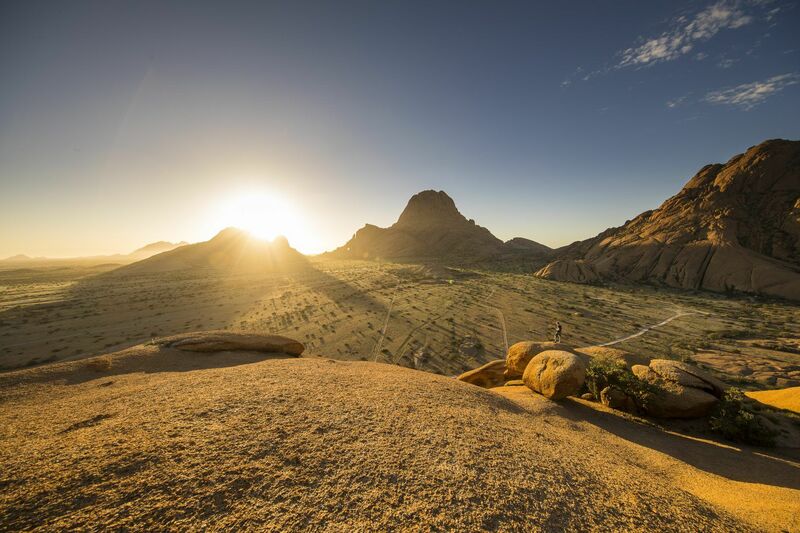 Then, you’ll continue to the next destination of this self-drive journey: the pointy rocks of Spitzkoppe. On the way to Spitzkoppe you will have the opportunity to visit the seals at Cape Cross (which is a detour of about 130 km). Accommodation: camping. Travel distance: 140 km. 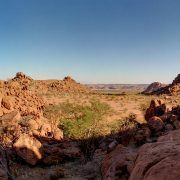 Today, you will continue deeper and deeper into Damaraland. 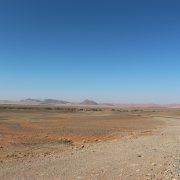 The beautiful vistas so typical for Namibia will accompany you on the road to the community based Ugab Rhino Camp. You might just be visited by the famous Namibian desert elephants here. Accommodation: camping. Travel distance: 200 km. A special day on which you’re really going to need the 4×4 car. Adventurous tracks that can only be traversed with the 4×4 and GPS are copious today, on the road to Twyfelfontein through a landscape of unparalleled beauty in Damaraland. It would be wise to reserve the whole day for this trip, even though it’s relatively short: it is a real 4×4 track with correspondingly low speeds. You may see ostriches, oryx, various antelopes and maybe even the extremely shy black rhino. Accommodation: camping. Travel distance: 95 km. From Twyfelfontein your journey continues to Etosha National Park. 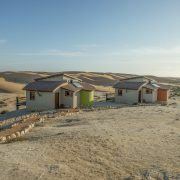 You will remain in this expansive wildlife reserve for three nights, in three different rest camps. 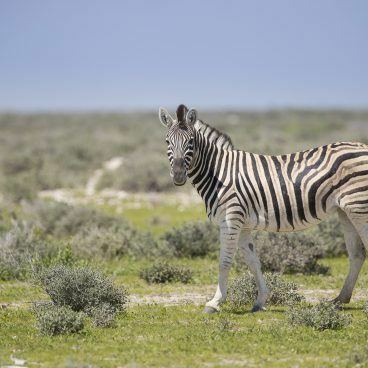 In Etosha, you have a huge chance of encountering various wild animals, including elephants, rhinos and lions. The lit-up drinking places with the rest camps are good recommendations. They can be reached on foot from the camp. Accommodation: camping. Travel distance: 240 km. 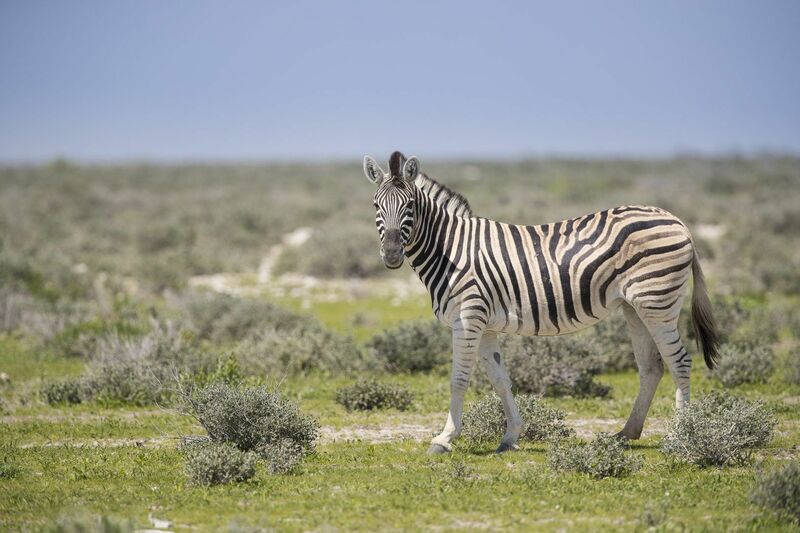 A second day in Etosha National Park. You can make an early morning game drive and return to Okaukeujo, or alternatively you can break up camp immediately and start the game drive towards Halali. If you choose for a short game drive around Okaukeujo camp, you can also brunch afterwards and then break up camp. If you do, though, you will obviously arrive in Halali later. Accommodation: camping. Travel distance: 100 km. 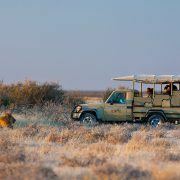 The third day of your stay in Etosha National Park. 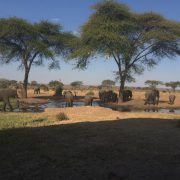 This day also includes and extensive game drive towards Namutoni. And you can again choose to start early for a short game drive around the camp, or to break up camp directly and continue on to Namutoni. This might also depend on how long you stayed at the lit-up watering hole in Halali, which gives you the opportunity to spot many remarkable animals. It is not uncommon to see hyenas, lions, or even a leopard here. In the morning, you have time for a final game drive from Namutoni camp. 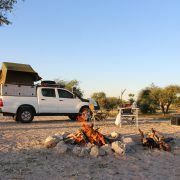 Then, you can break up camp and will leave Etosha National Park. The road to Rundu consists of tarmac. You can stop along the way at the Hoba meteorite and you can buy supplies in the city (Grootfontein). Accommodation: B&B. Travel distance: 420 km. The journey to Ngepi Camp, located at the Okavango River in the pan handle of the Okavango Delta, is a simple but long journey of 425 km. You will pass through various settlements and souvenir shops where locals offer many goods. Accommodation: camping. Travel distance: 425 km. 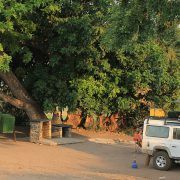 An entire resting day at Ngepi Camp. It is possible to relax today, or you can go on an activity. 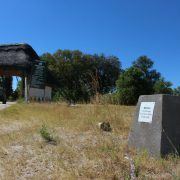 Various excursions are offered at Ngepi Camp, often on the water of the Okavango Delta. After the resting day in the Okavango Delta Pan Handle you continue east with the 4×4. Today’s destination is Kasane in Botswana, located on the Namibian-Zambian-Zimbabwean border. Accommodation: camping. Travel distance: 475 km. An entire day to spend freely. You can make a day excursion to the Victoria Falls in Zimbabwe or drive around Chobe National Park for the day. Accommodation: camping. Complete travel distance to Victoria Falls: 160 km. A second day in and around Kasane, on which you can make a morning game drive in Chobe National Park. In the heat of the afternoon, we can advise you to rest, and later in the afternoon you can make a sunset cruise on the Chobe River. 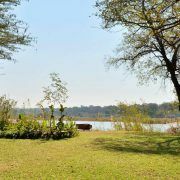 From the water you will have a perfect view of all the safari animals that visit the Chobe River banks to drink at the end of the day (on the border of Chobe National Park). A short drive in terms of distance straight through Chobe Park, along the Chobe River. Although the distance is less than 40 km, the journey can take multiple hours. 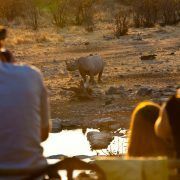 This is a true game drive, and with some luck you will see various big safari animals. It is not strange to see lions, elephants, and bison next to the herds of antelopes. Accommodation: camping. Travel distance: 38 km, duration about 2 hours. After the Chobe Riverfront you continue south and deeper into Chobe National Park. You will need the 4×4 on the sandy tracks there. In the afternoon you’ll arrive in Savuti, which is well-known for the many Bull Elephants and the Savuti Lion Pride in the Savuti Marsh. 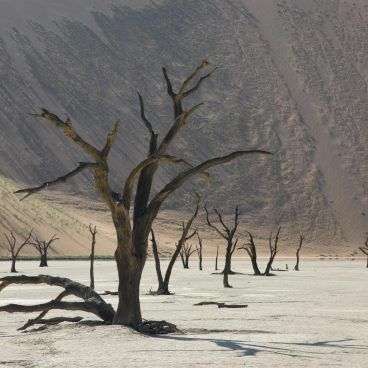 The Savuti Channel, which runs through the area and enters into the Savuti Marsh, has been dry for many decades, but the last few years have seen flowing water running through. In the afternoon, you will have sufficient time for an extensive game drive and further discover this remarkable Botswana landscape. 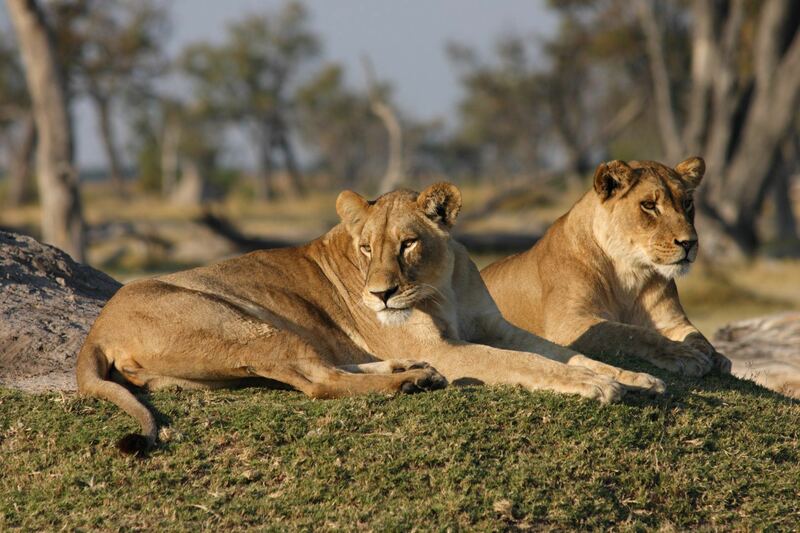 The 4×4 journey from Savuti to Khwai in the Moremi Game Reserve is one big game drive with many animals. We advise you to start early so you can make a game drive loop around the Savuti camp before moving on to the Moremi Game Reserve. In the afternoon you will arrive at North Gate and the Khwai campsite. After setting up camp, you can relax and make an evening game drive along the Khwai River. Accommodation: camping. Travel distance: 120 km. After a morning game drive you will continue in the Moremi Game Reserve to the second camp, Third Bridge, at the edge of the Okavango Delta. 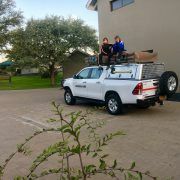 This day will also be filled to the brim with game drives and spotting the many safari animals of the Moremi Game Reserve. You have a good chance of seeing lions, hyenas and leopards. Elephants and antelopes will also be there. The camps in Botswana do not have fences, so the animals will visit the camps at night and during the day. After the morning day drive, this self-drive 4×4 journey takes you back to civilisation. 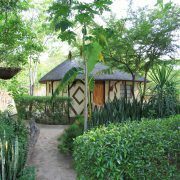 After 4 nights of game reserves you will now experience the comfort of a chalet with the lodge in Maun. A welcome change. Accommodation: chalet. Travel distance 130 km. From Maun the journey back to Windhoek starts. In the morning, you can do some shopping or sleep in. You can also take a flight above the Okavango Delta. The trip to Ghanzi, in the centre of the Kalahari Desert, is an easy one: after the sand tracks of the reserves, this road consists of tarmac. Accommodation: camping. Travel distance 300 km. 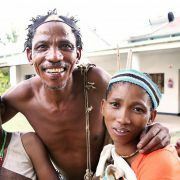 In the morning, you will have plenty of time to do something around Motswiri, like visiting the Kalahari Desert Bushmen. They offer educative walks to learn more about their history and habits. This excursion is not included in the itinerary and should be booked in advance. If you head for Buitenpos in the early afternoon you will have plenty of time to cross the Namibian border. 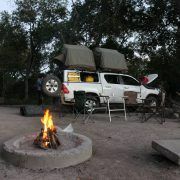 This trip will bring you to the Kalahari Bush Breaks campsite. Accommodation: camping. Travel distance 530 km. 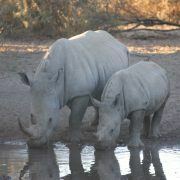 The last day of this self-drive 4×4 safari across Namibia and Botswana is an easy journey from Buitenpos to Windhoek. Depending on when you leave, you’ll arrive in Windhoek in the morning. You will then have some time for souvenirs, for example with the craft centre in the middle of town. At the end of the afternoon you can return the car, and after dealing with the formalities you will be brought to the airport for your flight back to Europe. 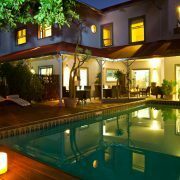 Travel distance 290 km (optionally you can stay another night in Windhoek with lodge or hotel accommodation). Prices per person for various dates in 2019 and 2020. 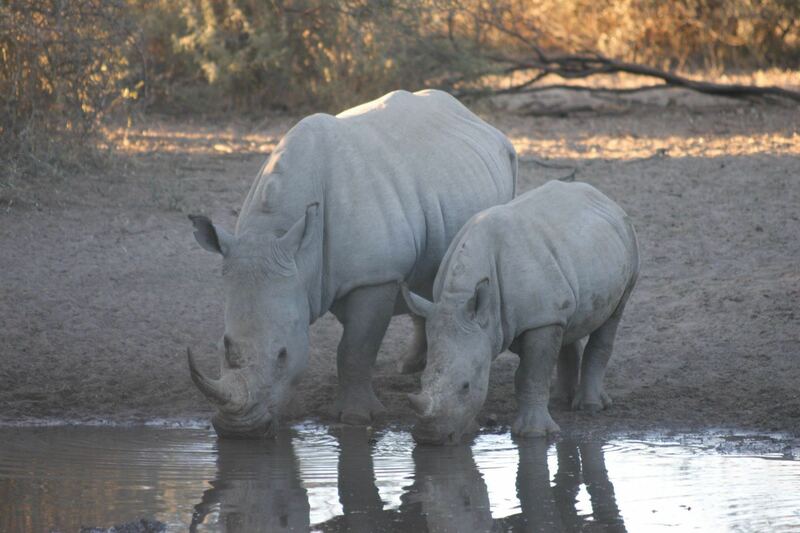 The Namibia and Botswana Self Drive trip is available for 2 to 4 people per car. The default car is a Toyota Hilux 4×4 double cab 2.4 Diesel. The price for 5 people or more can for example be requested and depends on the local possibilities and space in the preferred car. 4×4 cars (Land Cruiser or 4×4 camper) other than the default 4×4 car are available upon request. Optional CDW (Zero Excess) insurance incl. tires and glass € 490,- per trip. Red rocks with over 2500 rock paintings.